Valentine’s Day is almost here and we have a great healthy dessert to finish out that special day! 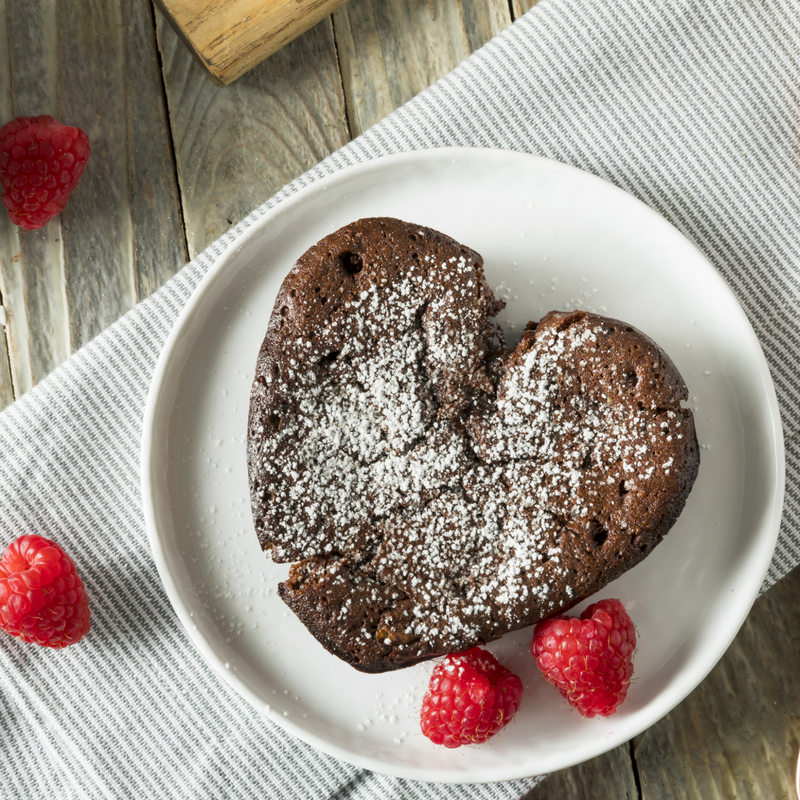 Gluten-Free Lava Cake is sure to sweeten things up! This chocolate dessert is rich in flavor and protein, did we forget to mention delicious? Chop the bittersweet chocolate into bite-size pieces. Combine almond butter and chocolate pieces in a glass bowl. Microwave on high for 1 minute or until gently melted. In a medium-sized bowl, whisk together oat flour, egg, and pea protein powder. Add a splash of water if necessary to create a thick, pudding-like texture. Add the melted chocolate mixture. Whisk to combine. Spray two ramekins with nonstick baking spray, and pour approximately 1/4-cup of batter into each ramekin. Place the chopped bittersweet chocolate pieces in the batter in each ramekin. Put remaining (about 1 spoonful) of batter on top, to cover the pieces. Bake at 400°F for 10 minutes. Cool slightly before serving. Enjoy Valentine’s Day with a sweet and healthy treat! This entry was posted in Healthy Desserts, Recipes and tagged easy recipes, gluten free desserts, gluten free recipes, Health Tips, healthy, healthy desserts, Naturade, naturade protein powders, naturadelife, Recipes, valentine's day, vegetable protein recipes.